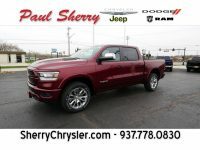 At Paul Sherry Chrysler Dodge Jeep RAM & commercial trucks, we aim to offer a wide range of vehicles to drivers from across the country. 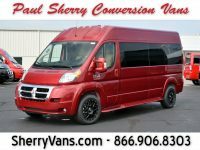 That is why in addition to the traditional cars, trucks, and SUVs we provide, we also have converted, RAM Passenger Vans, lifted Jeeps, and lifted trucks for sale. 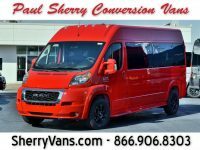 We work with RAM ProMaster vans since they are so versatile, offering a strong, reliable starting point for all of your van needs. 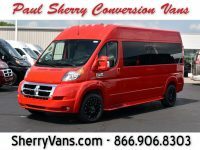 There are a few different interior arrangements in the Sherry RAM Passenger Vans available from our dealership, but they all seat at least seven passengers. 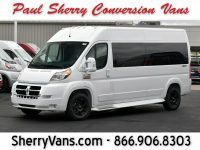 The vast majority will have seating for seven or nine, though some have room for eight. 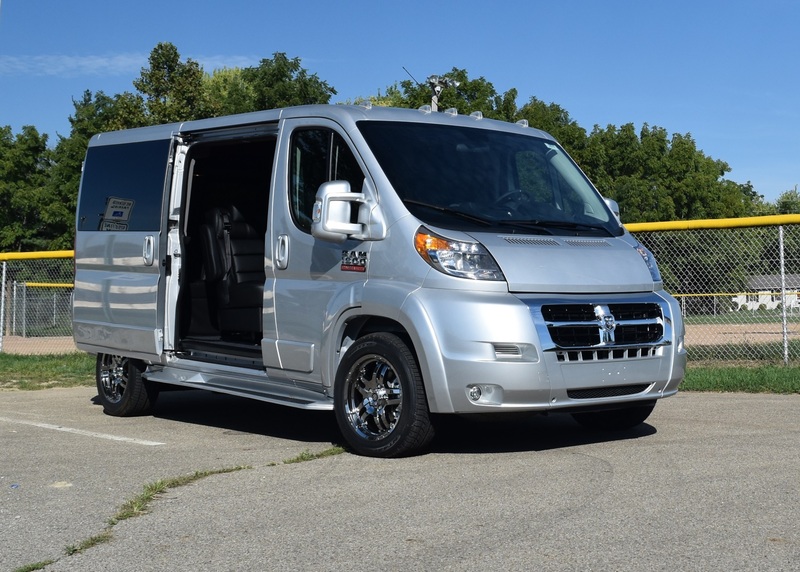 The seats are always designed to be luxurious, including captain’s chairs that swivel and a rear sofa bed. 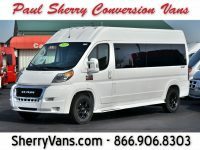 Expect to find high-quality materials on the seats, such as leather seats. 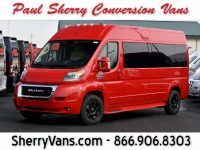 In addition to traditional passenger floorplans, we also have Sherry mobility vans designed to accommodate wheelchairs with ease. They have the same great features of the other models, but space for one or more wheelchairs and a lift that is reliable and easy to operate. 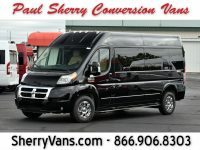 With the Sherry vans at Paul Sherry Chrysler Dodge Jeep RAM & commercial trucks, you don’t have to worry about how your passengers will stay entertained during their rides. 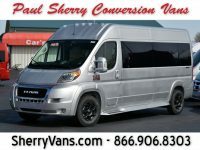 The vast majority will have some sort of entertainment system, such as a 32-inch HD TV connected to a Blu-Ray player and a rear stereo. 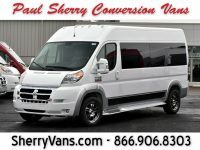 We don’t want the drivers of our Sherry vans to feel left out and leave all the luxury and amenities to the passengers. 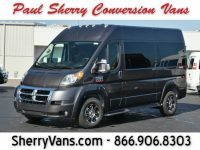 Some of our conversions have heated leather front seats for added comfort, and you will always get automatic climate control. 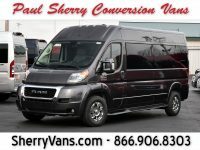 The rear backup camera on our vans makes it easier to park or reverse in a vehicle as large as these RAM ProMaster conversions, while the touchscreen navigation systems are intuitive to use and will ensure you can find your destination. 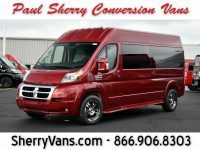 While there is some variation among the Sherry RAM Passenger vans available, the vast majority will use a 3.6-liter V6 engine with a 6-speed automatic transmission. 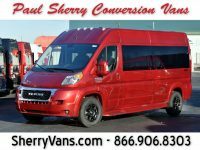 They also frequently come with a towing receiver so you can use the vehicle for towing smaller trailers or other items. 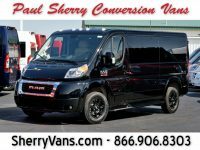 Check out our online inventory of Sherry RAM Passenger Vans or contact our dealership to discover which conversion vans we have that meet your needs.